For Henry’s birthday, we bought him an Italian rubber bouncy horse, brand name of Rody. It’s green. To my slight disappointment, he preferred the gifts that light up and play garish music, instead of the ones that stand with a regal quiet, like little foreign donkeys, until you bounce them yourselves. I suppose, though, that this is to be expected. In addition, Henry was, and still is, too little to really bounce the horse properly. But lately, he appreciates Rody and slaps its saddle and says “enh! enh!,” like you actually speak that language, until someone hoists him up 8 inches into the air so he can ride the horse. And throughout the whole of that part Henry is bouncing up and down & up and down & up and down, smiling so that I can count all seven teeth. But then, just exactly at the part where the music changes, he stops bouncing up and down and changes his approach — suddenly he’s swaying side to side. He’s dancing. He continues the dance that goes with that section until I finish the song. Henry loves to dance. I support that. When I casually say “I support that,” what I mean is that it makes me happier than almost anything else in my adult life has. When my mother-in-law once commented “Henry’s the only guy I know who dances to ‘Jingle bells,'” I stood a bit straighter, swelling with parental pride. I have more to say on the dancing . . .
but back to the Lone Ranger. My point is that Henry transitioned just as the music did. At 13 months, does he KNOW? Have I sung the Lone Ranger theme to him enough that he knows what’s going to happen? That’s possible. Or is it that he could he predict the shift in dynamics? I mean, that’s why the Lone Ranger is such a great song, right? Because the shift makes perfect sense. I often think that great music is music that you’re immediately used to, because it taps into some sort of natural pattern, and activates a pleasure center in your brain. Do you know the song “Crazy” that came out a few years ago? I read heard that there is some sort of machine that a song can be fed through and “they,” industry executives, can predict if it’s going to be a hit. “Crazy” was used and an example of something that everyone would automatically really like. 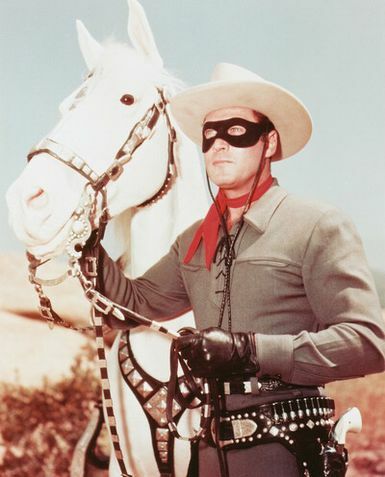 The Lone Ranger probably would have set off the hit-o-meter, too. ← pig bubbles — be discreet! anabel has a rody who is purple with orange spots on him and he wears a cowboy hat (natch) and doesn’t smell in the least like lampante, so maybe something happened en route from itale to yourn home? also, did you see how the rody was the “toss on the ice to celebrate great ice skating” item of this year’s winter olympics? tiny rodys. not the full sized ones. what if they had tossed the full sized ones?